This is a successful giveaway! Get in on the fun and enter here. OK, Kimberly….breathe!!! I got my 1000th follower this morning. I’m giddy with excitement but, then I started to think…there have been at least 1000 people stop by and read my stuff. Eeps! If I could wrap my brain around it, I would get nervous. But, luckily, I’m not and I’m getting really brave about taking photos in retail stores (ones that I’m not working in). For the most part, no one cares. On the other hand, there will always be people who I call ‘gate-keepers’. They get a (false) sense of control by enforcing silly rules they don’t know the reason for them. But, I found some very nice, young ladies at Blooming Beauty today. 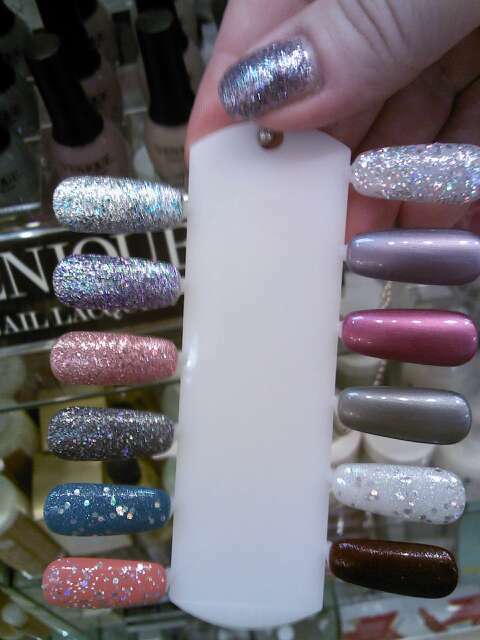 They remember me from before as the nail polish blog lady that gets overly excited about new nail polishes. 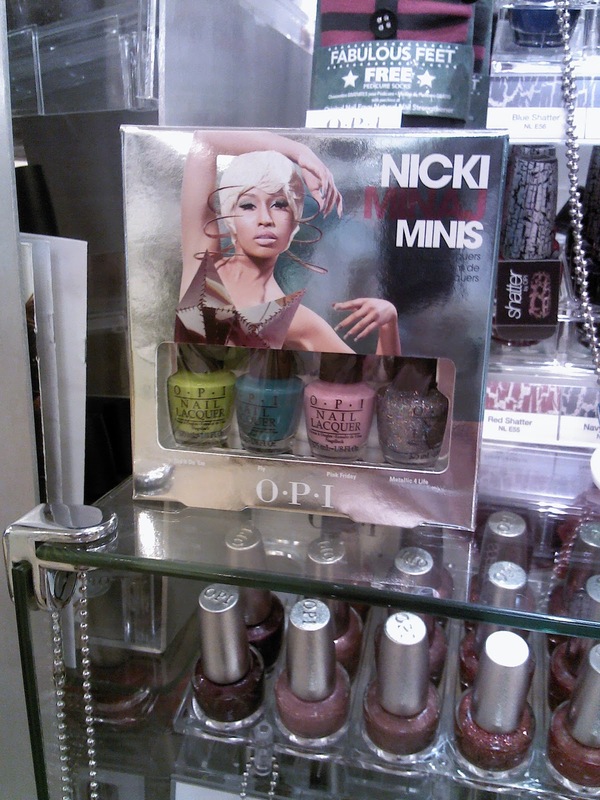 This is OPI’s newest collection highlighting Nicki Minaj. After doing serious spending during the holidays, I refrained from buying any. But they are so pretty to look at. 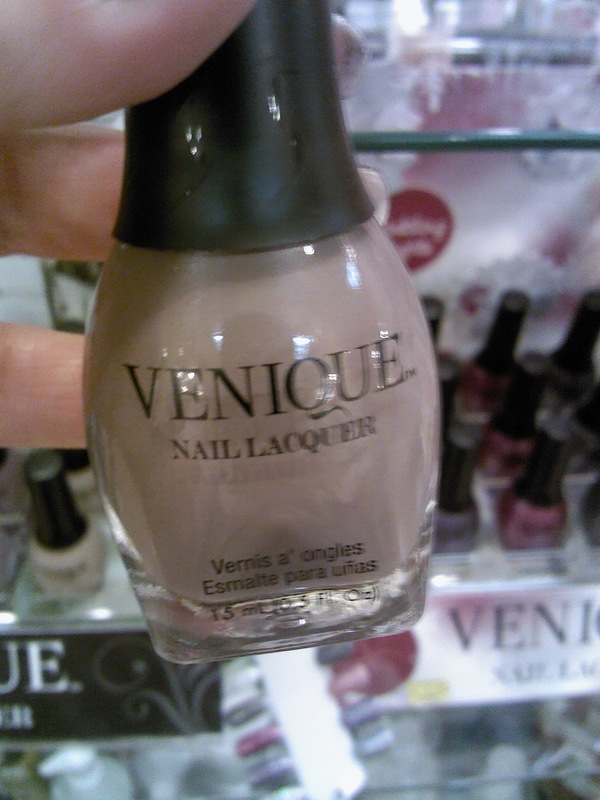 Venique is totally new to me. I’ve never heard of them. With a quick Google search, I found that Nails Beautiqued did a post on this brand not to long ago. Nails Beautiqued is one of my ‘go to’ nail blogs for what’s new and what is looking hot on her nails. Yes, do go look! I used my phone camera to snap these photos. As in many cases, the colors are not true, but you can get a broad idea. Like that red in the lower right side…it is a Christmas red that sparkles. Think of Ruby Slippers. Again, I didn’t get any because I have a tremendous backlog of polishes to swatch and, I didn’t see anything that was way different than stuff I already have. I popped off these photos to just share with you. And, speaking about photos, I have set out to create better photos for myself, personally, and, for my blog. I have taken a class, will be taking more classes, have joined a photography forum and a local club. When I get into something, I don’t dally around! Reason for telling you this, I have an assignment this week. The photography club has started a weekly challenge: each week, starting with the letter ‘A’, take a photo of something starting with that letter. Ammonite. Found in the floor tile at the mall I worked at today. 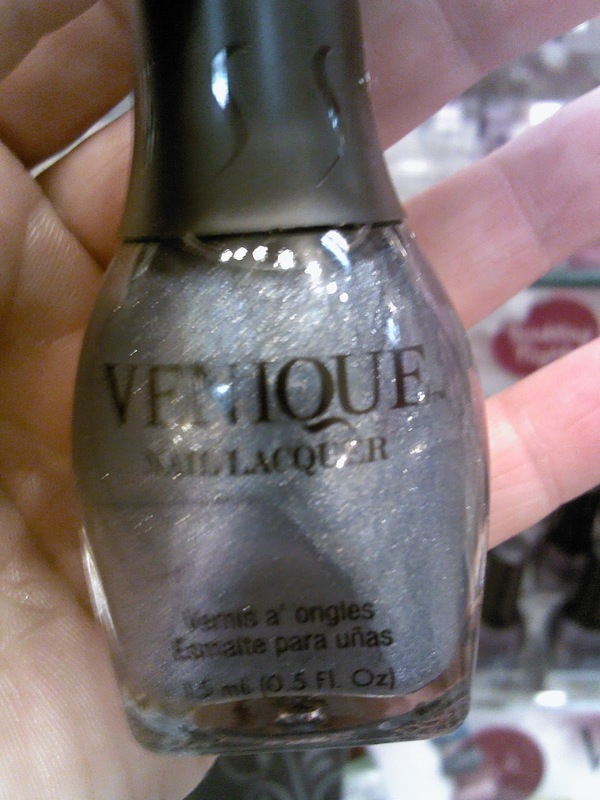 This entry was posted in I Spy, OPI, Venique by kimberlyp. Bookmark the permalink.